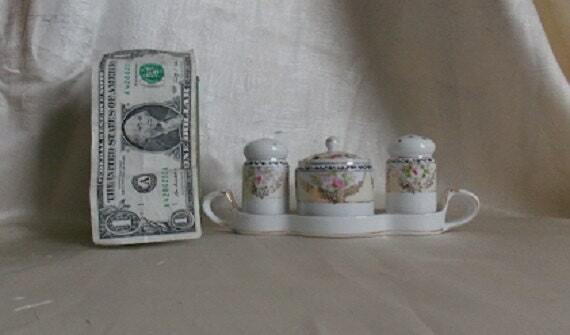 This vintage 5 piece condiment set was made by Noritake in Japan between the 1921-1925. 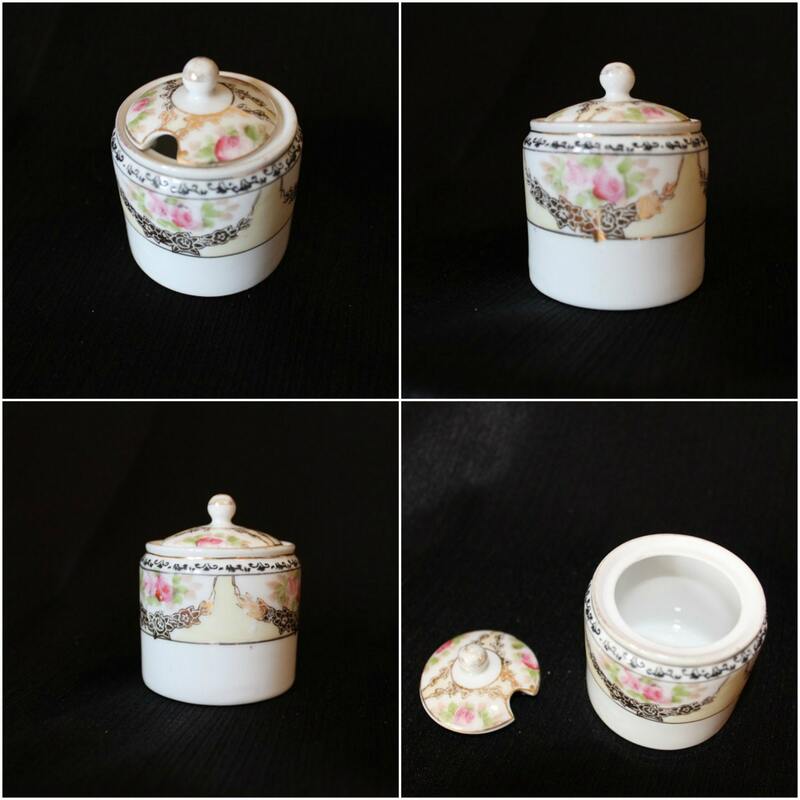 This set has an overall cream/white color with a pink flower design surrounded by green leaves . This design is centered above a gold floral swag which circles around the condiment jar and shakers. Above the flower design is a black "scroll" band. the lid to the condiment jar has the same floral design. The tray has gold trim around the top rim, bottom edge and handle. The shakers are missing their corks. The tray and condiment jar have a green " Noritake / Made in Japan" with a green wreath stamp on the bottom. 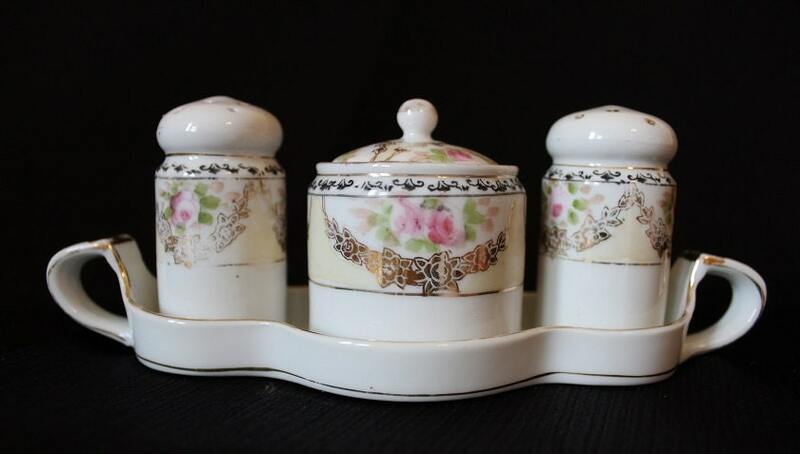 This condiment set is in nice vintage shabby chic condition but does show signs of wear. The tray, mustard jar, and one of the shakers have no chips or cracks. The other shaker has a chip around the stopper hole. 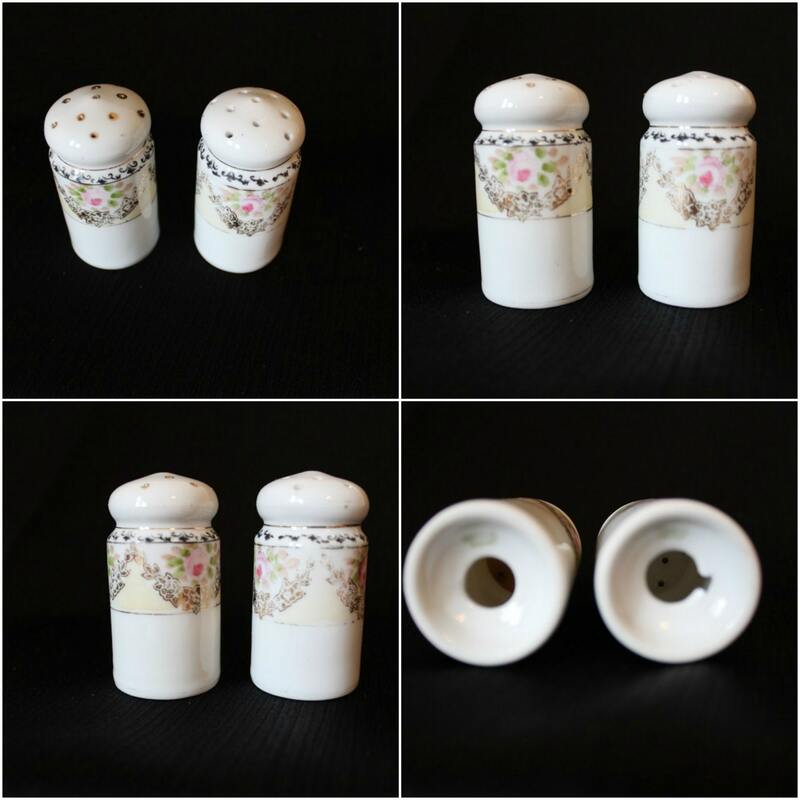 There is some wearing of the gold trim, and the salt and pepper shakers are missing their stoppers. The serving spoon is also missing from this set.